On the 27th of February 2019, Lindsey from the SSPCA came in to speak to us about what they do and the animals they look after. First, she told us what the SSPCA stands for. It stood for the Scottish Society for the Prevention of Cruelty to Animals. Then Lindsay got a card game out that we played in fours. It was a bit like a Top Trumps Game about different animals. We learned some very interesting facts from them. After that, Lindsey answered some of our questions. One of the questions was ‘what the most dangerous animal you’ve rescued?’ and surprisingly someone had been keeping anacondas in a small flat in barrel, which I think surprised most people. Finally we had to follow instructions to build a robotic rabbit and then used a tablet to program it to turn and move forwards and backwards, left and right. 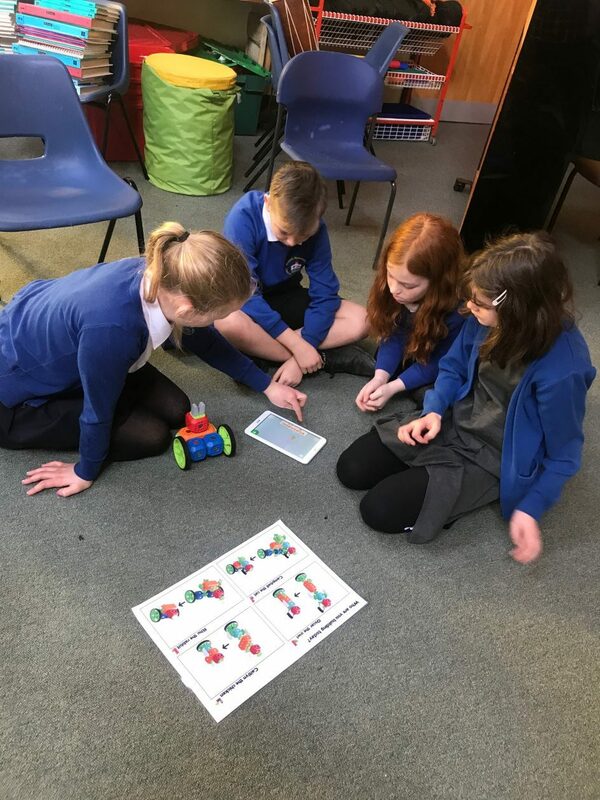 Once we got the hang of moving the robot, we also experimented with coding it to create sounds and we challenged each other by creating obstacles to move the rabbit around. Over the last few weeks, we have been practising our measuring skills and learning how to calculate the perimeter and area of squares, rectangles and composite shapes. As an extra challenge, we took our learning outdoors and tried out our new skills on a bigger scale. Working in small groups, we had to create giant shapes with chalk, then measure and record the length of each side using trundle wheels and metre sticks. Back in the classroom, we then had to work out the perimeter and area of each of our shapes. 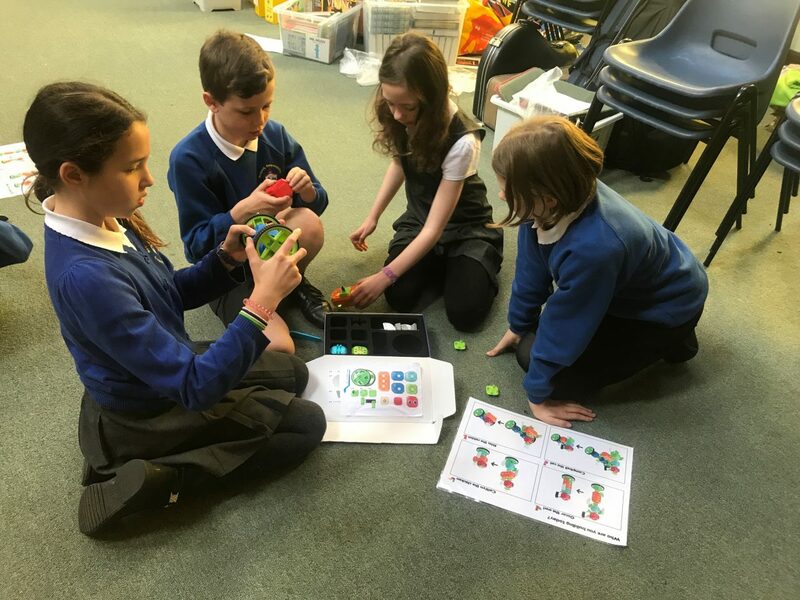 Each group demonstrated fantastic teamwork and problem solvingskills which ensured that everyone was able to participate equally and complete the task successfully! 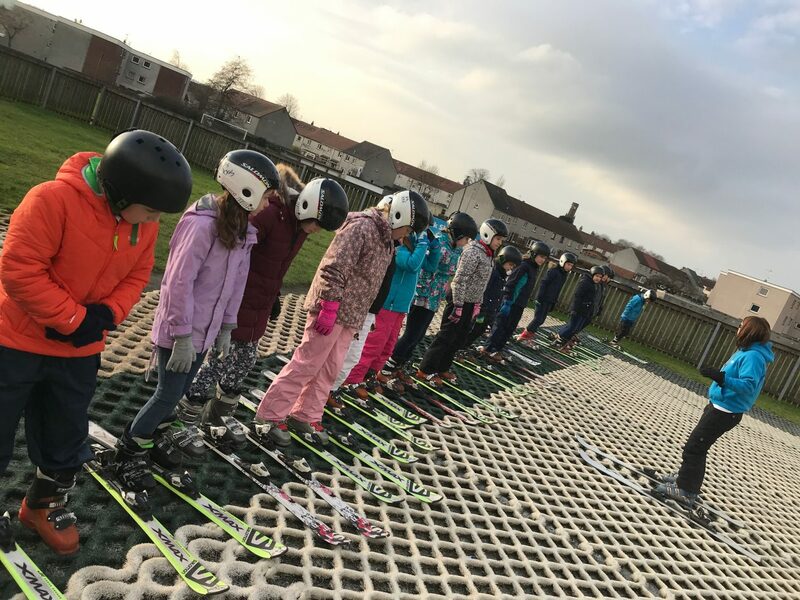 On Friday 9th November P6 went to DHS to participate in a multi sports festival. The S4 pupils had been training to deliver a variety of activities and we had a chance to try some of them out. The activities available were dodgeball, football, baseball and different kinds of races and team games. We were joined by other P5 and P6 pupils from St Marys as part of our transition to high school, so we could get to know each other. So far this term, we have been learning about place value and how to multiply and divide whole numbers and decimal numbers by 10, 100 and 1000. We have been transferring 12 hour time into 24 hour time to help us with reading and making timetables for our Destination Dunblane trip. Using the chromebooks, we have been introduced to Microsoft Excell, or the equivalent Google Sheets, to organise information and create graphs. These new skills will help us when we have collected information during our Dunblane trip. We have just started using mathletics for homework and we are really enjoying it. We took part in a National Sumdog Competition as part of Maths Week Scotland and as a class, we came 228th. “I really liked doing the 12 hour and 24 hour time.” – Amelia.